This article was originally first published at the ITSM Review. Key Stakeholders. Whilst these resources might not be involved daily with your project, their sponsorship and accountability for escalation is a critical element for project success. They should be the equivalent of a high-level steering committee, ensuring that the project is delivering to the requirements laid out in the business case and agreed by this same group. Business Liaison Officers. In order to coordinate your activities with the various business teams involved, you will want to include Business Liaison Officers and Programs Officers. This role will ensure buy-in for your project within the user base and create the important link between your project goals and their business impacts/priorities. Logistics Coordinators, Communications Experts, and Migration Schedulers. 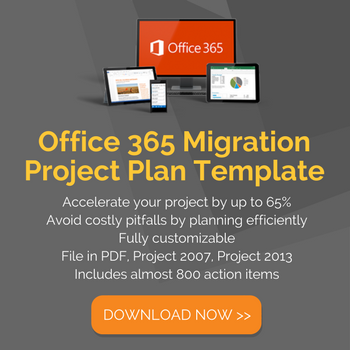 A team of logistics coordinators and schedulers that are focused on keeping things organized, especially when you are migrating many thousands of end users is important to drive migration numbers and ensure any deployment capacity is filled to maximum. Deployment Engineers. Whilst many Windows 10 projects will be delivering multiple zero-touch in-place upgrades, there are still the hardware replacements and rebuilds to manage on-site. This is where a dedicated deployment team can help to drive the migration success and be the 'feet on the street' to help with those first-day migration issues. 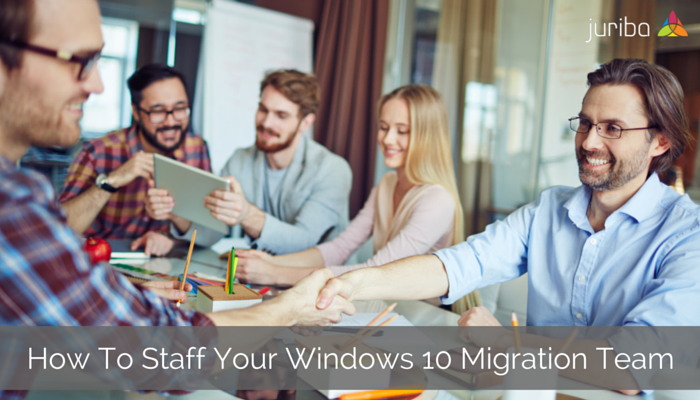 It is not always going to be easy to fill in holes in your workforce, especially when talent is in high demand and your competitors are in the same position regarding staffing up for a Windows 10 migration. Keep in mind that your road to Windows 10 will be smoother when your enterprise takes advantage of the Juriba’s IT project management tool Dashworks.